Molly Hurford is a writer for Bicycling Magazine and the Co-Host of The Consummate Athlete Podcast! hi everyone! molly here, and today I wanted to chat a bit about a topic we keep coming back to in a lot of these episodes: dealing with an active partner. I say dealing with because—while great, there are some definite struggles when it comes to a couple who loves adventure. actually, you might not be part of an active couple—it might be that your running buddy, or climbing partner, isn’t quite meshing with you these days. Having an active partner, someone who shares your hobbies and passions, is ridiculously awesome. but what happens when your training and your goals don’t sync up? You might have this happen right away, or it might come as your goals diverge or your skills develop and your partners don’t, or vice versa. And this can be difficult. on paper, you both love paddle boarding. but on the water, you’re falling behind when you go out to train together, and you end the session on shore grumpy and feeling bad about yourself and — somewhat irrational — angry that your partner is so much better at this than you. I’ve been asking podcast guests who have been there about how they handle it to get some insights. our second podcast guest Ryan Atkins and his fiance are both world class OCR racers, but they don’t always train together: often, his easy runs are her endurance runs, or they’ll start a work out together and finish separate. and Josh Whitmore, a cycling coach and mountaineering expert, is married to another cyclist, and while they occasionally train together, their best strategy is to decide which races matter to each of them, and work around that construct. and, for us, after almost three years of traveling together, training together—sometimes—eating together and living together, we’ve finally started to figure out what works best for peter and i.
Peter is a pro mountain biker. I am a former racer who spent a few years at a competitive level in triathlon, with a side of road/cx and mtb racing and the occasional 5k run. I had potential as an athlete, but not the competitive drive to drop everything else and focus on it. And I started late—until I was 20, i couldn’t run a mile. But I’ve had 9 years of training at this point. Peter, by contrast, grew up athletic and started racing over 16 years ago, and he’s still racing at a high level, with a pretty full race calendar. So, it doesn’t seem shocking that our training wouldn’t be the same, right? Since we’ve been together, I’ve alternated between wild guilt when he’s out on a 4 hour ride and I’ve only done 2, or my training has gone way above and beyond what i needed to maintain decent fitness. He keeps me motivated, but what I sometimes forget is that I’m not motivating for the same thing he is. The same applies for how we eat, how we sleep and nap, how we stretch—all of that. men and women train and recover differently—a training plan that works for him might be completely wrong for me. he likes a lot of hours when he can fit them in, i’m a fan of short-short-short with the occasional ridiculously long day thrown in. 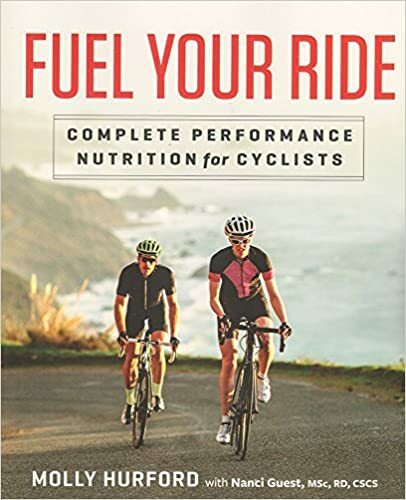 On that same note, our nutritional needs are different as well—thankfully, Peter is good at Pre, during and post ride eating (check out this video where he talks about eating) so most of his meals are normal size and so i don’t slip into overeating. Not being able to keep up on a technical mountain bike ride shouldn’t effect my self esteem. he has 14 more years of riding under his belt. Perhaps most important, there is simply no reason in the world why my training hours or training style should match his. nothing magical is going to happen if it does. so, if we don’t train together all the time, how does it work? most people assume that we ride bikes together, but to be honest, we rarely ride together. we actually do more of our low-key stuff together, like hiking, or walking to get our groceries or run errands. we’ll go to the gym and lift weights together, since we can regulate for our respective size and strength. we’ll rock climb and swim together. We’ll run together, since my running background and his focus on cycling (and dislike of downhill running) puts us at a roughly even pace and we do ride together, but not during workouts that matter. But—what i realized when i started thinking about this podcast—when we started dating, it took us a while to figure that out. and there were some fights, i’m not going to lie. having two active people with different schedules and different activities and different egos is tough. you have to figure out the balance of training for sport versus spending time together, and if you’re at the exact same level and the two overlap, that’s amazing. but more likely, you’ll have to figure out a compromise somewhere. that compromise might even be more mental than physical. you might have a tendency to be quiet on hikes while your partner is chatty, which leads to fights that don’t really make sense. and that’s something that can be talked out, and you can find a compromise—like talking for half the time, or bringing music or a podcast (for the chatty one in the couple). it’s a lot ore fun to train or adventure together when neither person feels slowed down, sped up, or just plain grumpy. let us know by tweeting at us—@mollyjhurford and @peterglassford—or commenting on the show-notes page at www.consummateathlete.com what you do to make adventuring with a partner work.